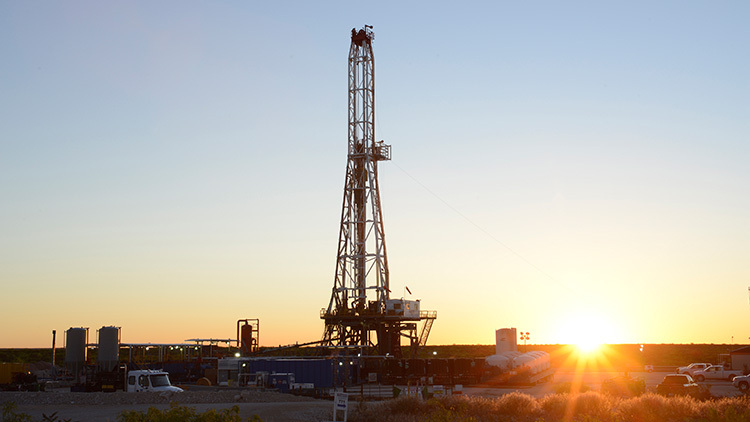 We have substantial acreage positions in basins in North America and Argentina, and have shifted focus to accelerate select liquids development in the Permian and Fox Creek (Duvernay). We continue to quickly improve our execution performance, resulting in reduced economic break-even points and competitive positions in geological sweet-spots. We are on track to create a material, sustainable growth business for Shell from around 2020. Shell’s North America shales acreage centres on liquids-rich shales in the Delaware Permian Basin in West Texas and the Duvernay and Montney plays in Alberta, Canada. Key holdings of natural gas resources include positions in the Marcellus and Utica shales in Pennsylvania, Haynesville in Louisiana, and a strong shales footprint in Western Canada. We also hold a growing position in liquids-rich shale in the Vaca Muerta of Argentina. 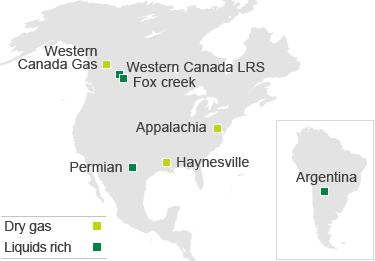 Shell’s operations in the Delaware Permian Basin in the United States of America.